On Tuesday I went swimming with my mum in Spirit Health Club. 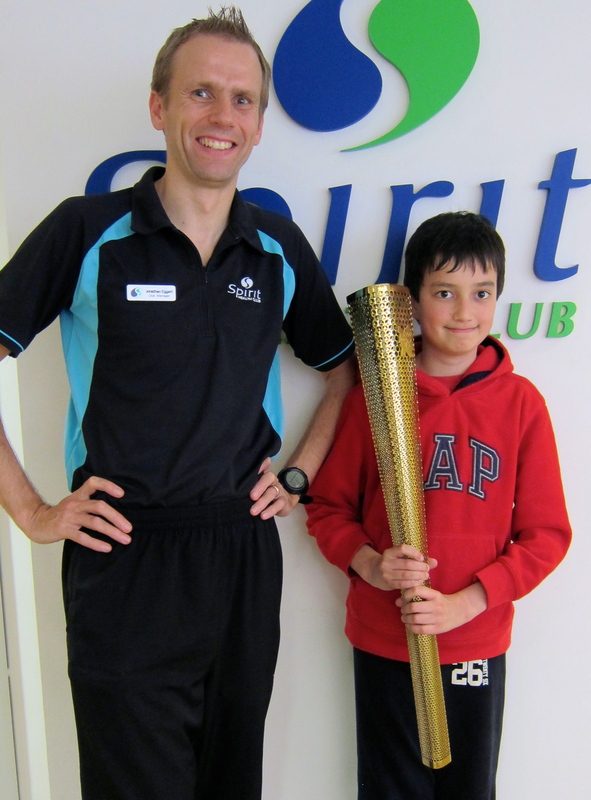 The manager (Jonathan Eggett) had just completed the Olympic torch relay. He kindly let us hold the torch. The torch was about half my height! It was exciting to hold it. We took some pictures of us holding the glorious torch. The day after, I showed my picture with the torch to my friends at school, and everyone went “Wow!” After school my mum said she had a surprise for me. 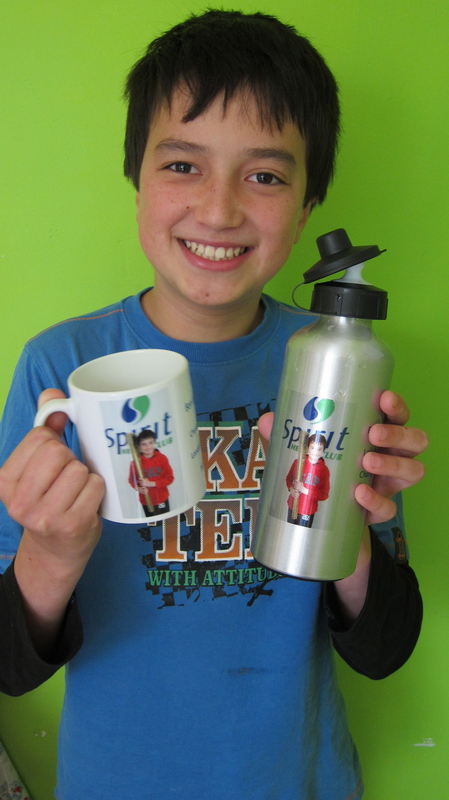 It was a water bottle and a mug with my picture with the Olympic torch on. Mum said she made them especially for me at the school where she worked . My mum is COOL! 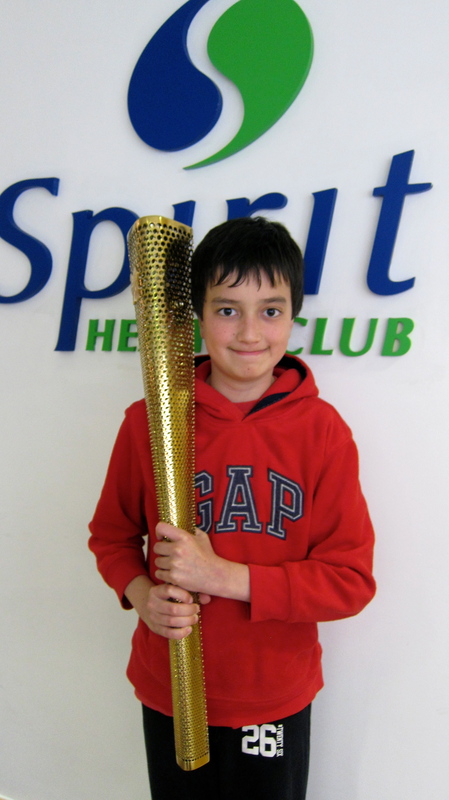 I am probably one of the few lucky people to hold an actual Olympic torch. I am very proud. So, what Olympic experiences do you have? Getting to hold an Olympic torch is so memorable. Jonathan is very kind. You both looked very happy. It’s another well-written piece from you, Ben. Well done! Very cool Ben – both you and your Mum! Lovely and clever boy! Your mum is so proud of you. Hi Ben. I was very impressed with your ebook. It came across with a lot of energy. I think you are very talented. Perhaps you should become a journalist or an author . . . .?